A river rising in the Anti-Libanus, flowing through Damascus, and disappearing in the Meadow lakes. 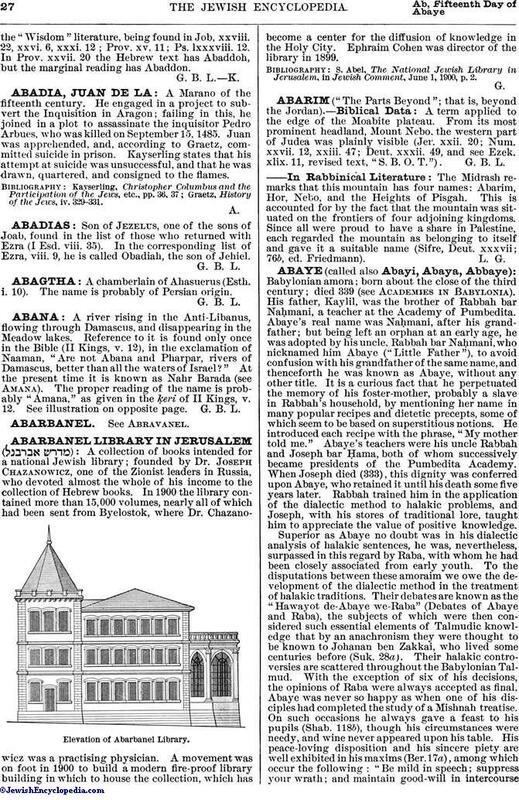 Reference to it is found only once in the Bible (II Kings, v. 12), in the exclamation of Naaman, "Are not Abana and Pharpar, rivers of Damascus, better than all the waters of Israel?" At the present time it is known as Nahr Barada (see Amana). The proper reading of the name is probably "Amana," as given in the ḳeri of II Kings, v. 12. See illustration on opposite page.